This is a collection of Lincoln Highway artwork I've put together for historic interest. 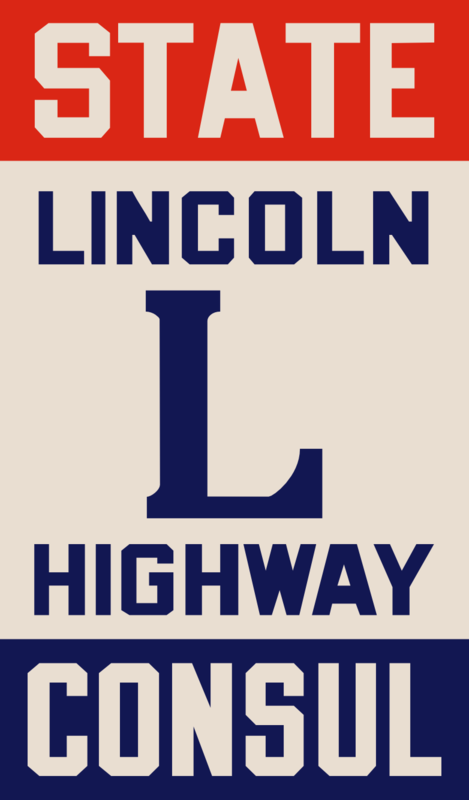 Note: Lincoln Highway Association and Lincoln Highway L Logo are registered trademarks of the Lincoln Highway Association. I revoke my copyright on the following images, 3D files, and textures. Derived from a Gary Kinst photo. This is GIS stuff I have. This is a map-in-progress from a variety of different sources. It's all sort of a mess at the moment, stuffed in the same file and not well-annotated. I mostly use it for navigation when I'm on the road. From time to time, I travel bits of the Highway. Here are some writeups, some with maps and photos.